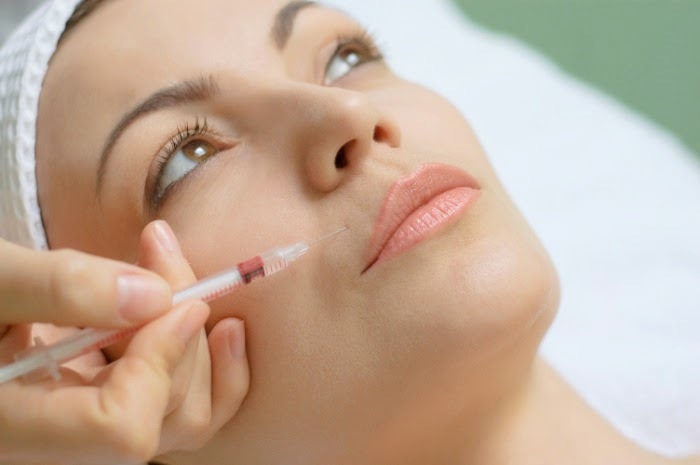 Cosmetic injections and fillers are old news at this point -- we all know that they are commonplace among Hollywood's aging stars, and they have become routine enough in the general population that no one bats an eye at a little Botox or the idea of a lunch-hour cosmetic filler. But just because dermal injections are increasingly popular (a reported 2.2 million cosmetic injections were performed last year alone in the US! ), doesn't mean they are without risk. A new report published in this month's JAMA (Journal of the America Medical Association) links 3 cases of dermal filler injections with central retinal artery occlusion, an ocular condition that results in permanent vision loss. All three reported cases were in otherwise healthy results, who received dermal injections (collagen fillers, fat, and hyaluronic acid formulations used to smooth wrinkles away) in the forehead area. Please note Botox injections were not a culprit in any of these reports, only dermal filler injections where fat or collagen to plump the tissue under the skin and smooth wrinkles. Botox contrarily uses a form of neuro-toxin to paralyze muscle action in the area of wrinkles--basically preventing scrunching or wrinkling for a short amount of time. All three patients had same day or day after sudden onset vision loss in one eye following the procedure, confirmed to be central retinal artery occlusion by eye care specialists. Forehead injections are quite popular, but are typically "off-label" sites of injection for fillers of this nature. Most dermal fillers on the market are only approved or tested for nasolabial areas (nose and lips). The report is calling into question the off-label injection sites of peri-ocular tissue (forehead or eyebrow regions, any tissue surrounding the eyes) due to the risk of obstructing blood flow to the ophthalmic artery (the eye's major blood source). to appear darker red due to contrast (called "cherry red spot" macula). What is a Central Retinal Artery Occlusion? Hopefully anyone reading this will never have one, because this ocular condition results in permanent, usually very large scale vision loss. When the blood supply to the eye is disrupted, the retinal cells and the ocular nerve begin to suffer from the sudden oxygen loss and die. Studies suggest as little as 30 to 45 minutes of disruption to blood flow is enough to cause catastrophic and irreversible cell death. Dead retinal and nerve cells mean an inability for the eye to process light, or to put it simply: blindness. Central retinal artery occlusion causes sudden onset, painless, and severe vision loss, most typically in one eye. To make matters worse, there is unfortunately no real treatment for this condition. The lack of oxygen to the ocular tissue causes irreparable damage that no surgery or medication can cure. If you are someone that gets routine dermal fillers, the risk for vision loss is likely quite low. 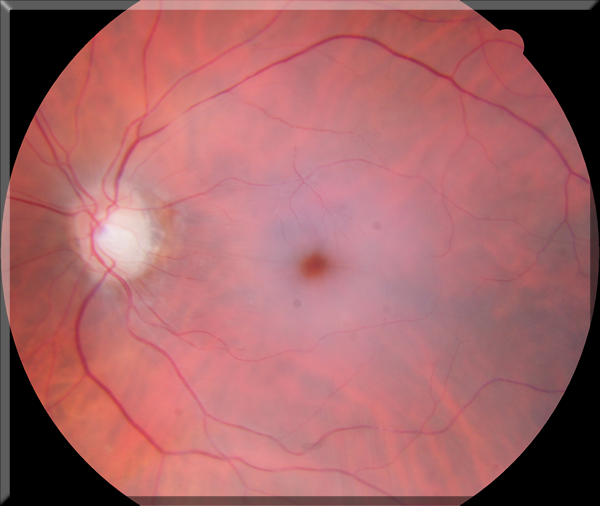 Researchers are estimating a less than 1% risk of central retinal artery occlusion occurrence. But many doctors do not routinely mention permanent vision loss as a possible risks of dermal filler injections in pre-injection paperwork, and this is something that will likely soon be changing in the near future. There will also be a lot more focus on limiting "off-label" injection site applications. Your article too good, very incisive and original. Thank you very much for your generosity, will this name good articles and Shared, I will continue to focus on you all. I will continue to focus on your article and learn from your experience. You can leave a response, or trackback from your own site. Dermal Fillers have become one of the most popular treatments in anti-aging today, due to its ability to kill aging signs like wrinkles, lines, crow's feet and so much more.